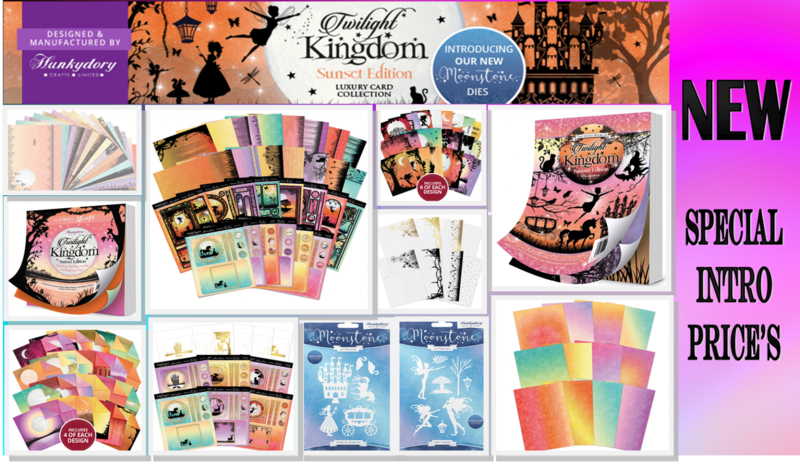 Launching this month and available to pre order now is the brand new Twilight Kingdom Sunset Range! These images and backgrounds are stunning and are sure to be just as popular as the first edition of Twilight Kingdom. Whats new to Hunkydory and the first added to the range are the brand new dies! There is now something for everyone with the Twilight Kingdom. This entry was posted in Brand New and tagged hunkydory, twilight Kingdom.